This session will go over how different social media platforms can help in four different areas of genealogical research and family history: research your family; general research helps & training; share information with others; meet distant relatives. We will discuss these four areas with the following platforms: Facebook; Twitter; Pinterest; YouTube; Blogs; Instagram. We will also discuss ease of use, downfalls and cost for each of the social media platforms. This session will help you evaluate other social media platforms in the future. Lianne began researching as a teenager each Saturday at the LDS FHL where her mother volunteered in the early 1970s. 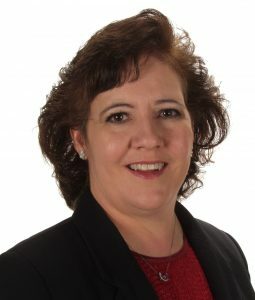 She has taken courses at BYU for researching in Irish and American and understanding important documents, as well as teaching computer software courses since 1982 for a variety of colleges and universities. She currently teaches at Red Deer College. Her goal while teaching is to make computer software learning fun and relaxing. Her family history blog is iFamilyHistory.blogspot.ca. She shares technical instructions on a variety of subjects to help others with software and her thoughts on preserving your family history. She also posts about what she is doing and sessions she is teaching. She is currently writing her mother-in-law’s South African family history back to the 1600s and is first Vice President of Alberta Genealogical Society, a position she has held for the last three years.